Welcome to Epstein Hillel School. It’s my privilege to lead our school and help guide our faculty in providing an outstanding education grounded in Jewish values. Our school is named in honor of Arthur J. Epstein for his unwavering and longstanding commitment to and support of the Jewish community north of Boston. When you walk through our doors, you enter a school with a vibrant, dynamic, and warm environment focused on helping students to achieve their potential, retain their curiosity and love of learning, and develop a strong Jewish identity. Learning through doing – experiential education where collaboration and problem-solving are at the heart of our curriculum. Students work with partners and in small groups to stretch their thinking and grow their interpersonal skills. They have opportunities to program robots and build prototypes with 3-D printers, while also using iPads to create, document and explore. Flexibility, resilience, and empathy are on the curriculum map too, along with algebra, Hebrew, Shakespeare, and debate. We continue to be focused on ways to make Jewish values come to life through an integrated curriculum in the classroom and opportunities for gemilut chasidim (acts of loving kindness) and tikkun olam (repairing the world) in our community. Our whole school comes together for holiday celebrations and a weekly kabbalat shabbat experience in which we joyfully celebrate these moments with ruach (spirit) led by our charismatic song leader. The Gemara teaches, “a person can only learn from where his heart desires.” At Epstein Hillel, everyone in our community teaches with heart, and from the heart, so that our students are curious and inspired to engage with the curriculum, with each other, and with the world around them. 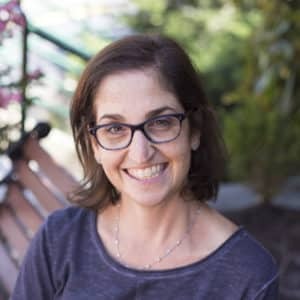 העיקר (Ha’Ikar) is the name of the periodic letter to the community from Amy Gold, in which she writes about topics important to our school.